Our second release comes packed with four techno bombs. First is Drumcomplex’s Gomme, which has already gained heavy support and heavy airplay from techno meister Dave Clarke, on his charts and his White Noise Radio Show. A fantastic configuration of metallic beats and ever interesting arrangement, that leads to a roomy breakdown where a electro-ish synth enters in the game to create an euphoric atmosphere. This is a dance floor bomb already tested and approved. Early support by Funkagenda, Aldrin, Jody Wisternoff and Dave Clarke. Second track is called From A Soul Of A Robot, and it resembles a story told by a machine without soul. More electro synths are found on this techno stomper that is for sure another dance floor killer. Early support by Angel Molina and Joshua Collins. 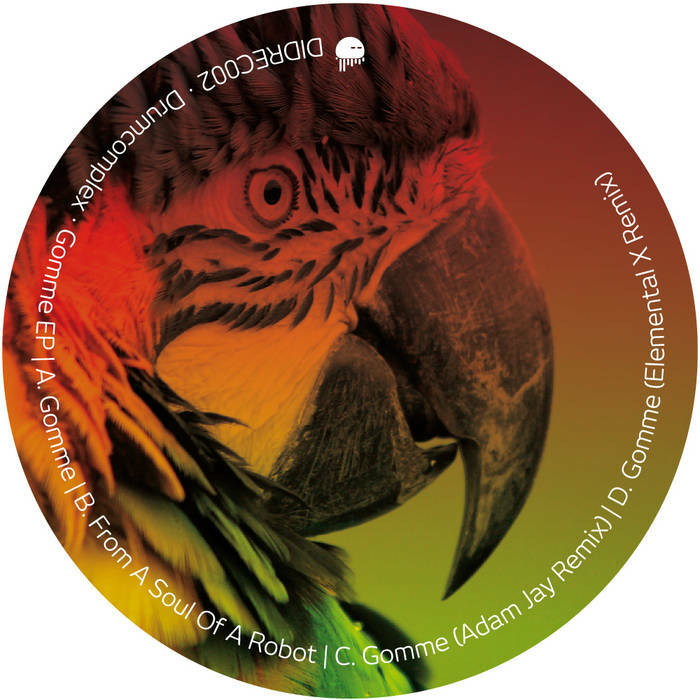 Then we have the Gomme remixes, the first comes straight from Indianapolis, from techno genius Adam Jay, who’s coming back hard and solid. Cutting edge techno with traces of the old guard. The breakdown of this track will give goosebumps anytime anywhere. Early support by Deepchild. The second Gomme remix comes from Sao Paulo, and its from Elemental X, a mental alternative, but not less stomping techno version, where the electro-ish synth of the original is exploited to the limit. Early support by Angel Molina.